Mix together plain flour, milk powder and baking powder. Add milk little by little to the flour, add ghee and make a stiff n smooth dough.Divide the dough into 35-40 small balls. Heat oil in a pan and fry the the balls until golden brown. Add the fried balls to the hot sugar syrup. Juicy and super droolworthy jamuns. 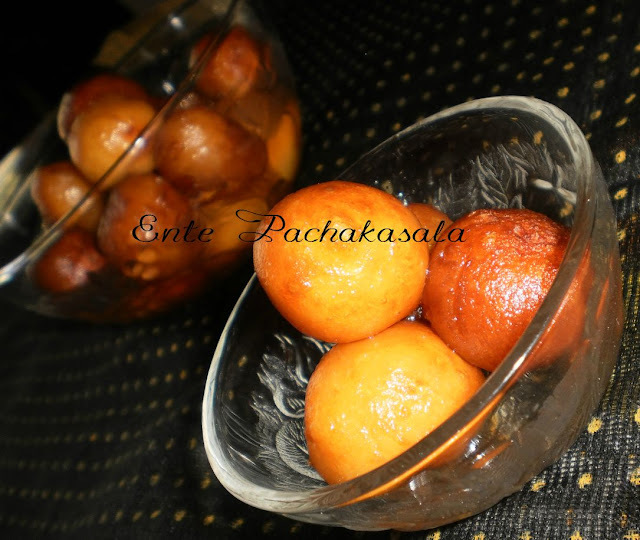 Adipoli gulab jamun. My favorite.